The Professional Center for Child Development (the Professional Center), a comprehensive agency helping children ages 1-10 of all abilities fulfill their potential, seeks nominations and applications for the position of Executive Director. The Professional Center's highly skilled and professional staff provide a range of services to support the growth and development of children including: developmental day school for children with disabilities; early intervention for children from birth to three years old with disabilities or who are at risk; preschool for both children with and without disabilities; play groups; pediatric therapy programs; and regional consultation. Building on a 43-year-old legacy of serving local families and their children within a diverse community, the Professional Center is at a significant moment of transition after decades of leadership under its founding executive. The Board of Directors seeks an individual who has an understanding of, and a passion for the unique needs of the children we serve, to carry the agency into a new era of success and growth. Specifically, the incoming Executive Director will leverage the talents of the exceptional professional staff to help the agency become more agile, efficient, and responsive both to the changing landscape of the broader human services environment and the needs of those it serves. S/he will push boundaries for expanding the programmatic work of the agency while establishing clear timelines and expectations for success and developing mechanisms for ongoing communication and feedback within the organization to ensure a cohesive effort. The agency's comprehensive services concentrate in the North Shore region of Massachusetts as well as into Southern New Hampshire and serve over 1,400 children with and without disabilities. The Professional Center's Early Intervention program, supported by the Massachusetts Department of Public Health, is recognized as a best-in-class integrated development service within the state of Massachusetts. The agency's original and longest running program, the Developmental Day School, provides a comprehensive education and therapeutic programs for children ages 3-10 with multiple disabilities, moderate to severe developmental delays and complex care and/or medical needs. This program is licensed by both the Massachusetts Department of Elementary and Secondary Education and the Massachusetts Department of Early Education and Care. The Professional Center's staff members are deeply committed and passionate about their work, and the agency enjoys extraordinary stability in its management and financial well-being. Reporting to the Board of Directors, the Executive Director will be responsible for leading and managing all aspects of the agency in its transition and beyond. The Executive Director will serve as a trusted and engaging leader, fostering and developing deep relationships across the agency and with key funders, partners, advocates, and political entities. With a personal commitment to early education and human services and a dedication to operational and programmatic excellence, the Executive Director will uphold a culture of collaboration and transparency to ensure operations are always supporting exceptional quality and the highest ethical standards. Penn State Behrend invites applications for Early Childhood Education Faculty Positions starting Fall 2017. A doctoral degree in Special Education is required for the position; candidates with a doctorate completed by early summer 2017 will be considered. The position will be housed in the early childhood education PK-4 program in the School of Humanities and Social Sciences, but will also teach special education for the secondary math education program housed in the School of Science. The ideal candidate will have a minimum of two years of experience working in the schools with a broad age range of students across PK-12. The successful candidate will possess a record of research and scholarly productivity; a commitment to excellence in college-level teaching and advising; classroom experience in early childhood settings and a strong commitment to diversity, social justice, and advocacy. The area of research is open; research in collaboration with peers and undergraduate students is valued. The college provides support for research and travel to scholarly conferences. Penn State Behrend is a comprehensive four-year and residential college of Penn State in Erie, PA. The college prides itself on the balance it achieves between teaching and research. Located on a beautiful, wooded hilltop campus, Penn State Behrend offers its 4,350 undergraduate and graduate students an inspiring and technologically-advanced environment characterized by close student/faculty interaction. For more information about the college, please visit our Web site (www.behrend.psu.edu). To apply, go to http://psu.jobs/. For job location, choose "Penn State Erie, The Behrend College." For type of job, select "Academic." Then click "Search for Jobs." Select job #67654, Tenure-Track Assistant Professor in Special Education and then select "Apply On-line." If you have never applied for a Penn State job before, you will need to create a Friends of Penn State Account. Thereafter, you will be able to upload the required materials: a letter of application summarizing your experiences and educational philosophy, curriculum vitae, and list of professional references. Review of applications will begin immediately and continue until the positions are filled. Teaches in a Level V educational setting, serving children with severe emotional and behavioral disabilities, often accompanied by learning disabilities. Within assigned grade level and/or content area, the Special Education Teacher is responsible for developing and implementing plans for meeting the educational needs of students and for improving psychosocial development. Respects children and family rights by recognizing the dignity of each individual and maintaining the confidentiality of all client information. Contributes to Performance Improvement at the individual, department, and agency levels. Accurately applies knowledge of treatment approaches appropriate to the physical and developmental age of clients served. Attends all required training and in-service courses (CPR, Crisis Intervention, Emergency Procedures, Infection Control, Trauma Informed Care, etc.). Develops and implements lesson plans to meet established curriculum guidelines and individual student needs. Documents student progress including grading papers, workbooks, class participation, homework, etc. and maintains files related to student work as necessary. Incorporates an "affective curriculum" by introducing activities to develop social awareness, appropriate social behaviors, and constructive expression of individual experiences into the instructional program. Prepares and submits annual comprehensive progress reports, monthly Treatment Team Educational reports, IEP and academic report cards and high school transcripts at the end of each term. Establishes behavioral limits and maintains order within the classroom to ensure the safety of all children and to promote an effective learning environment. Enforces the Behavior Management System. Monitors children's behavior and maintains Behavior Management documentation by completing point sheets in prescribed time limits, calculating daily behavior management levels, calculating monthly goal percentages, and completing behavior logs to ensure that children are treated fairly and that the Behavior Management System is implemented consistently. Special Education Teacher I: Bachelor's Degree in Special Education or related field, with certification in Special Education by the Maryland State Department of Education. Special Education Teacher II: Master's degree in Special Education or related field, with Advanced Professional Certification. Requires the ability to walk and stand up to 85% of the time. Requires physical ability to intervene and restrain children in crisis situations including the ability to run, lift and transport children to another location. Experience with emotionally disturbed children preferred. Provisional employment may be offered to otherwise eligible candidates actively pursuing completion of their certification requirements. Youth Villages' Residential Treatment programs serve children with emotional and behavioral problems. Our residential campuses provide the setting for an intensive treatment program that combines the unique balance of structure and freedom. This enables children and their families to identify, understand and cope with their individual needs and develop the skills necessary to succeed in less restrictive settings. The majority of these youth attend the fully accredited schools which are located on our residential treatment campuses. Completing paperwork and making sure files are up to date. Plan for individual and group activities to stimulate growth in language, social, and other skills. Participate in training and in-service activities. Administer and interprets testing to determine academic needs. Develop and uses a variety of teaching techniques. Produce lesson plans that reflect the individual educational needs of students. Prepare reports in compliance with school guidelines. Maintain progress notes, attendance records, and grade scores in a timely manner. Other essential duties as needed. Monday – Friday, 7:30am to 3:30pm. Administer and interpret testing to determine academic needs. Develop and use a variety of teaching techniques. Schedule is Monday – Friday, 7:30am to 3:30pm. A Bachelors degree in education or a specialized area is required. Candidates who have taken the Praxis and are licensed (or eligible for licensure) are preferred. Special Education Certification or interim license while enrolled in a Special Education degree program is required. Experience in special education or teaching experience in a clinical environment. The Education Specialist, will serve as classroom teacher in both general education settings as a co-teacher and leading a Learning Center to support students with IEPs in the least restrictive environment. Case management, professionalism, communication, and ability to co-teach/collaborate with colleagues are cornerstones to this position. The FUTURES learning center teacher will coordinate with support staff, district behaviorist to support the learning, social-emotional, behavioral and educational needs of students with significant disabilities. The candidate should have a rich knowledge of best practices and evidenced based instruction and supporting students to develop resiliency, independence/self-advocacy, communication and self-regulation and vocational skills to be successful across multiple environments. The Futures Services prepare young people to live, work, plan and learn at school and in the community through meaningful community-based instruction and micro enterprises on campus. The Education Specialist will provide a warm and welcoming classroom environment to ensure students are safe and belong to the school/classroom community. Valid appropriate Moderate to Severe California credential, required. Work stability with great union, medical, dental and vision benefits. Drexel University was founded in Philadelphia in 1891 to provide educational opportunities for women and men of all backgrounds. Now, as a comprehensive research university with over 26,000 students across its 15 colleges and schools, Drexel's strength in co-operative education, experiential learning, and translational research provides its students and faculty with excellent opportunities for career success. Known for innovation and dramatic growth, Drexel has earned top rankings from U.S. News & World Report, appearing among its Top 100 National Universities for the past seven years and on its Best Colleges list for the past 11 years. The Department of Teaching, Learning and Curriculum (TLC) in the School of Education of Drexel University seeks to appoint an Assistant or Associate Professor tenure-track or tenured faculty member in the area of Special Education. The individual should hold expertise to conduct or have an established record of scholarly or applied research in any of the following specialty areas: Addressing the special needs of diverse K-12 learners (including English Language Learners); identification and assessment of multilingual learners; communicating Special Education law and processes with diverse families; research-based instructional strategies; high incidence disabilities, or behavior and emotional disabilities. In alignment with Drexel University priorities, this position will play a valuable role in Drexel University's commitment to being an academically comprehensive, interdisciplinary, and civically engaged urban research university, dedicated to advancing knowledge and providing every student with a valuable, rigorous, experiential, technology-infused education. The successful candidate will teach and develop courses, engage in appropriate program development, collaborate with other faculty, and advise students in the School of Education's undergraduate and master's level courses, including students on campus and online. The development of a research program in Special Education is also an expectation for the position. The individual will also be expected to seek external funding as well as fulfill the professional obligations of a faculty member within a research-intensive university. 1. The successful candidate must hold an earned doctorate (Ph.D or Ed.D) in Special Education or expect to earn one by June 2017. 2. 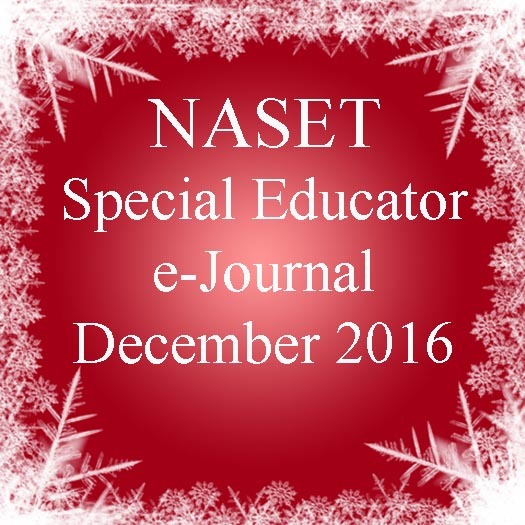 The candidate should demonstrate evidence of scholarly activity in Special Education (e.g. dissertation chapters, published articles, books/book chapters or presentations). Drexel University offers an attractive benefits package including tuition remission, a generous retirement package with matching funds (up to 11 percent) and an opportunity to join a talented team of professionals directly helping the University achieve its record growth and quality reputation. Drexel is an EOE/AA employer. Background checks are required as a condition of employment. All applicants must apply online through DrexelJobs to be considered. All applicants should provide a cover letter describing their professional experience and research agenda, a curriculum vitae, and a list of three references. In addition, applicants should provide two examples of their scholarship (e.g., dissertation chapters, journal articles, book chapters) or other written work addressing matters of special education. Interested candidates should review the following pertinent information about SOE: http://drexel.edu/soe/ and http://drexel.edu/soe/about/strategic-plan/. The Hoffman Academy is a special education, private, academic school for students identified with social and emotional disorders. The school is aligned with, and located on the grounds of, Hoffman Homes for Youth- a psychiatric residential treatment facility outside Gettysburg, Pennsylvania. The Hoffman Academy educates approximately 100 students. The mission is to offer a learning environment combined with a therapeutic component. Teachers, therapists and direct-care staff work together to assist the children-in-care with achieving their treatment goals. The Hoffman Academy is accepting applicants for Special Education Teacher positions. 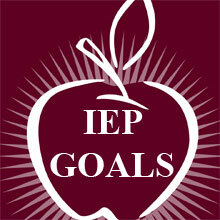 The Special Education Teacher is a full-time position with benefits. Participate as an active member of each student's treatment team; Assist the team in developing and implementing successful approaches for the student. Maintain records and make reports as required by State Law, the State Board of Education, the Pennsylvania Department of Education, and the School. Applicants must have Pennsylvania Certification in Special Education (7-12; N-12; and PK-8). Proper clearances, as defined by the Pennsylvania Department of Education, are required. This position is contingent upon a contract award (expected September, 2016). The preference for this position is to be based in Dover, NH; however, individuals with extensive professional, industry-based alternate assessment experience who are able to travel onsite for program orientation and training may be considered. Collaborate with and provide technical assistance to Measured Progress Program Manager(s), subcontractors, and/or the state education agencies regarding the program's design, planning and implementation. Collaborate with Measured Progress Curriculum and Assessment staff to develop and refine alternate assessment items as needed as well as the overall assessment design. Act as the main liaison with Measured Progress staff and the state agencies on all development issues for the contract, conducting in-state development meetings as required. Collaborate with the Measured Progress Program Managers and/or subcontractors with communicating the program’s design, objectives, deliverables, budget, and deadlines to internal personnel to ensure the contract is carried out on time and according to specifications. Assist with the creation of contract specific test designs and specifications for current contracts and/or proposals. Master’s Degree in Education and a minimum of four (4) years teaching experience in special education (preferably with students with significant cognitive disabilities); or two (2) years special education teaching experience (preferably with students with significant cognitive disabilities), plus two (2) years directly applicable professional level alternate assessment experience. Under general supervision of the House Manager, the incumbent is responsible for teaching and supervising a class of special needs students utilizing various techniques to promote learning. Duties include planning, organizing, implementing, monitoring, and evaluating class activities, developing Individualized Education Plans (IEP) and working with assigned staff, therapists and students to achieve the IEP goals and objectives. The incumbent is responsible for supervising assigned students and classroom staff insuring that students and staff are compliant with all school policies and procedures. This position requires close supervision of students which includes the ability to keep up with running children and or to lift or assist with lifting students is essential to perform this task. An important aspect of the job is gaining knowledge of and implementing the assigned student's Individual Education Plan goals and objectives as well as ensuring accurate data collection and documentation of same. The ideal candidate has a Bachelor's degree in Special Education, and holds or is eligible for District of Columbia teaching certification with appropriate endorsement. Prior teaching/instructional experience with individuals with special needs is preferred. Special Education Teacher is sought by Barstow Unified School District in Barstow CA. At present there is a single job opening for a full time position for 7 hours a day 185 days per year. Applications will be accepted until the position is filled. Eligible or holds appropriate California Teaching Credential for Special Education. Provides individual and small group assistance related to the pupil's specific learning disabilities, educational problems, and total educational adjustment. Other Duties: Evaluates pupils' academic and social growth, keeping appropriate records and communication progress with parents. Participates with the I.E.P. team to develop the individualized education program for each student placed in the class.